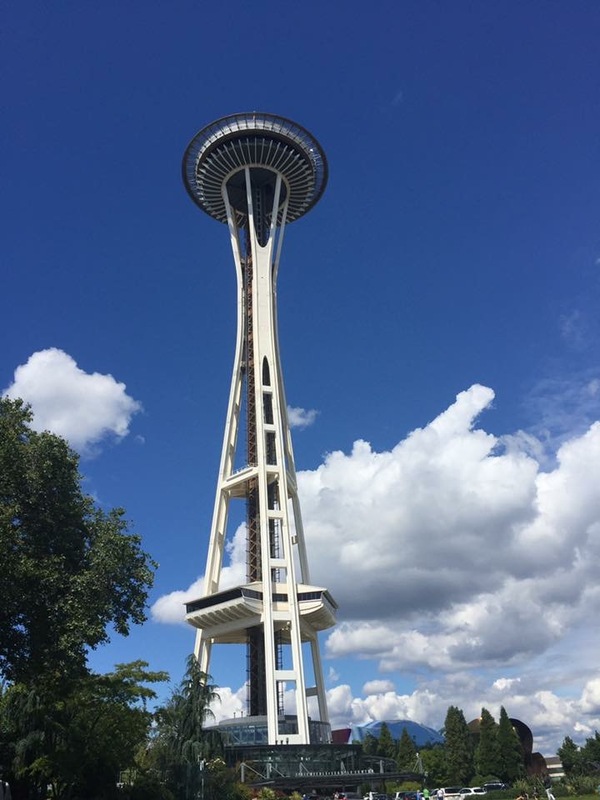 We lived in Seattle for 6 months last year, luckily in the middle of summer!! 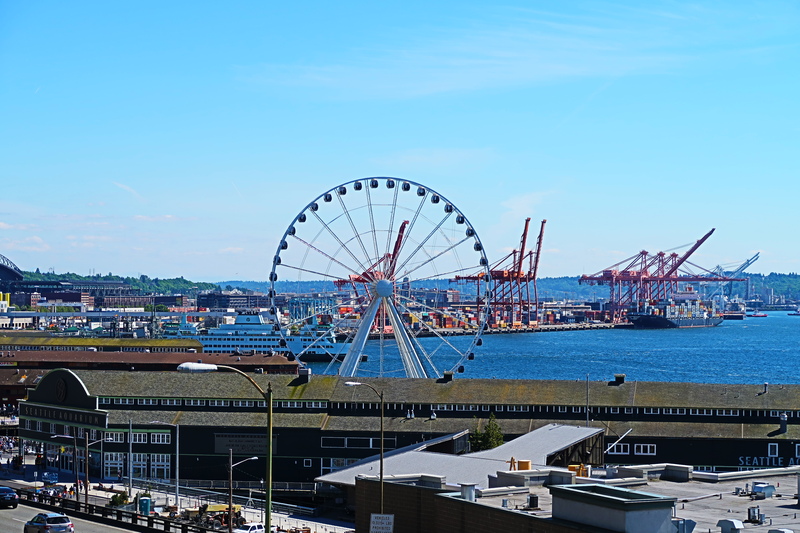 Summers in Seattle are priceless! After returning from Asia, we headed back to Washington to spend our summer in a smaller town…. about an hour and half north of Seattle!! 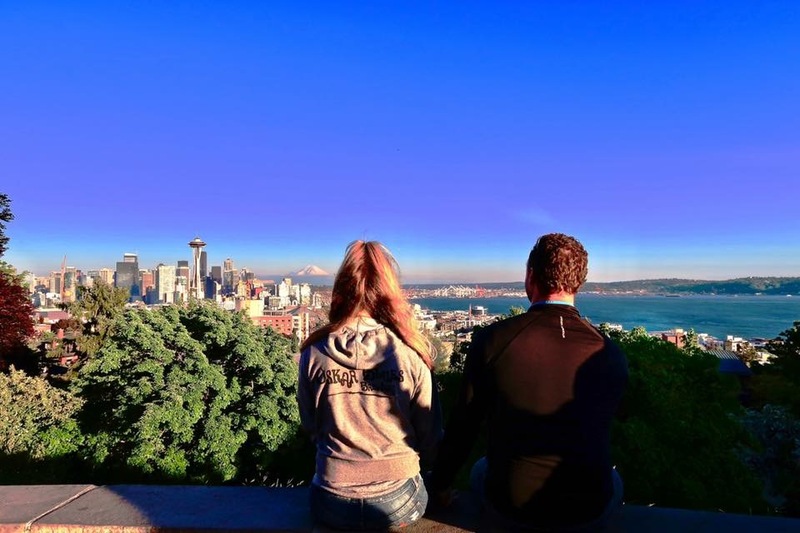 The city is surrounded by water and the Cascade Mountains…with Mt. Rainer towering over the entire city!! You Can’t get much better than that in our opinion. Seattle offers all the FEELS!! It’s got everything you want! 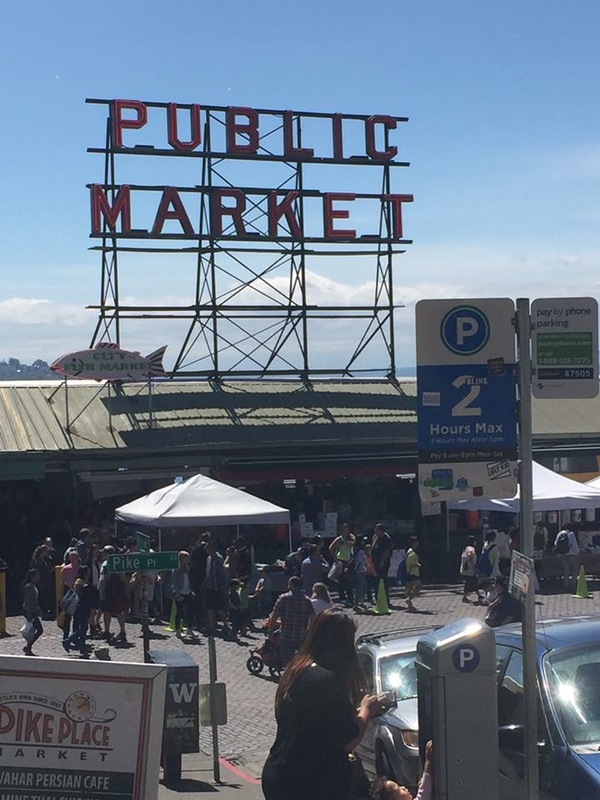 Since Seattle is big foodie town…and we LOVE food…we wanted to share our 10 favorite places to eat!!! 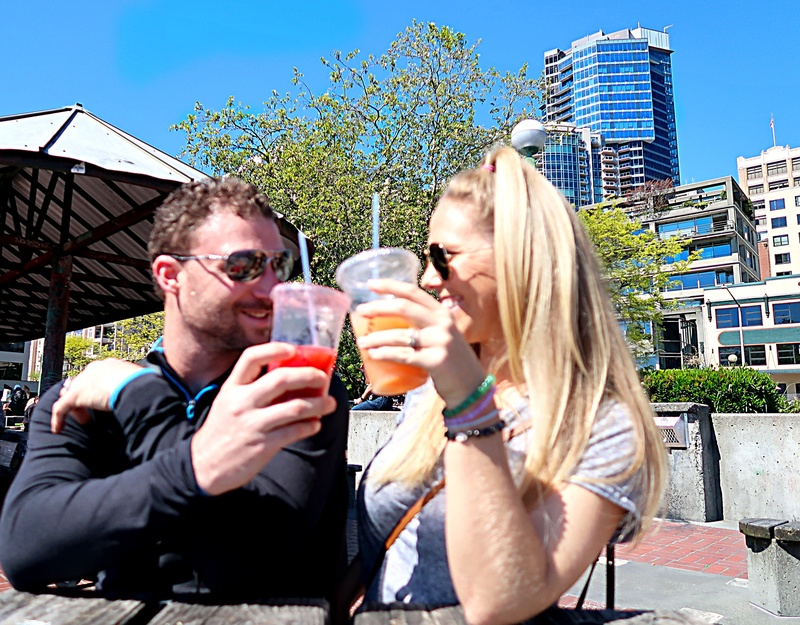 We want to take you off the beaten path, or at least divert you away from all the tourist traps, and let you experience the REAL Seattle..
We want to show you where the locals hang, and where you can find some really really yummy food!! 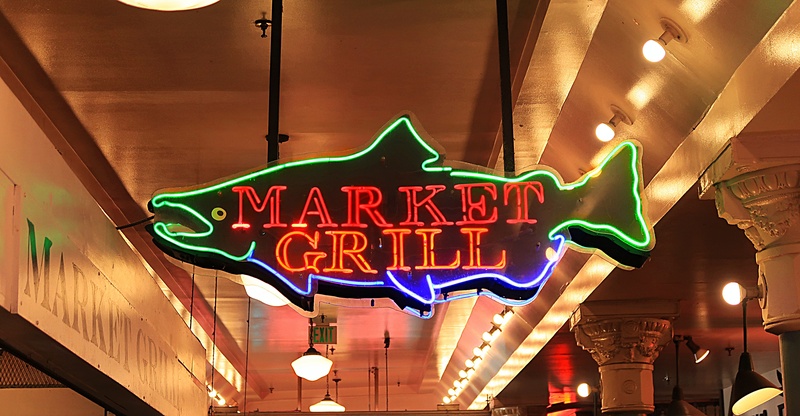 This is a tiny, 10 seat, unassuming little spot called the Market Grill! They literally have the best salmon sandwiches in the world….IN THE WORLD!! 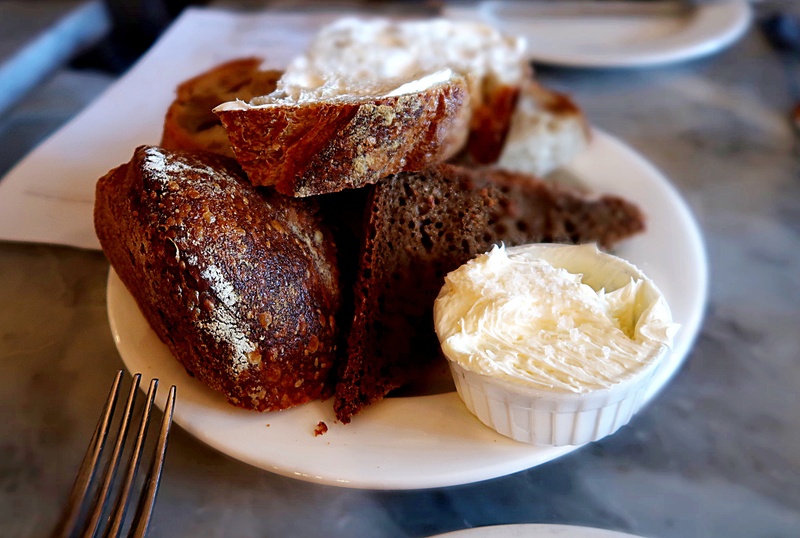 Everything they use is locally sourced…and the bread…the bread…OMG..it’s what makes it! They get their delicious little baguettes from La Pierre…a french bakery across the street. It’s incredible. They also use a secret blackening rub, that they get from a local vendor. They won’t tell you what’s in it, but it makes that fish pop!! 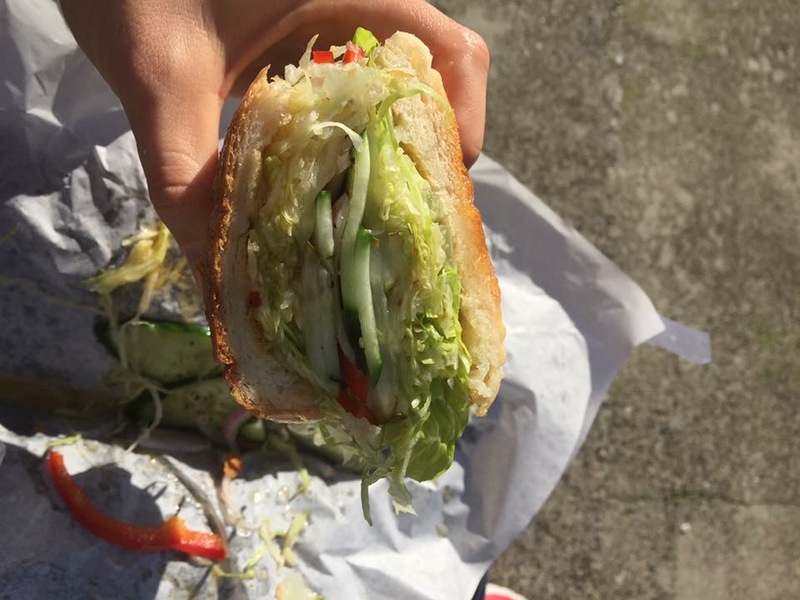 Their sandwiches are so simple, but truly a one of a kind. That’s why this place is famous among the locals!! This little gem is in a hardware store in Ballard…which is one of my favorite neighborhoods..PS!! 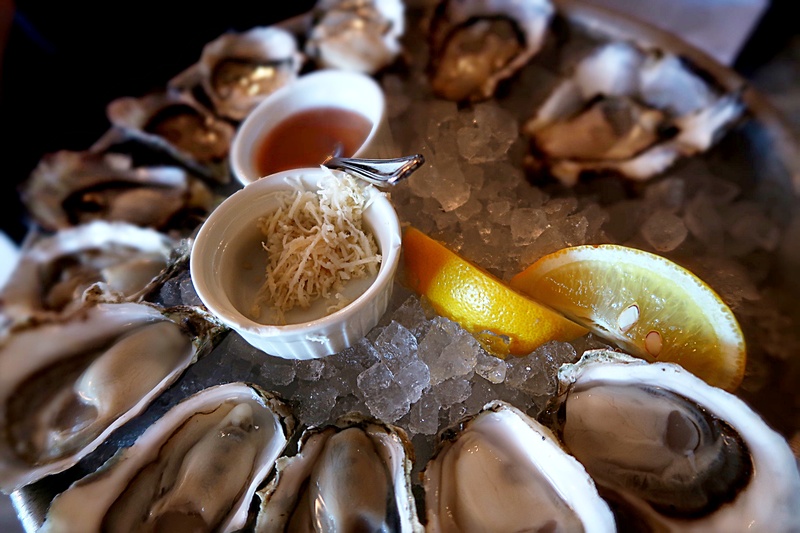 It’s a raw bar..and it features all of Seattles local, fresh, and delicious seafood! That’s the amazing thing about Seattle, they have such easy access to the freshest ingredients. 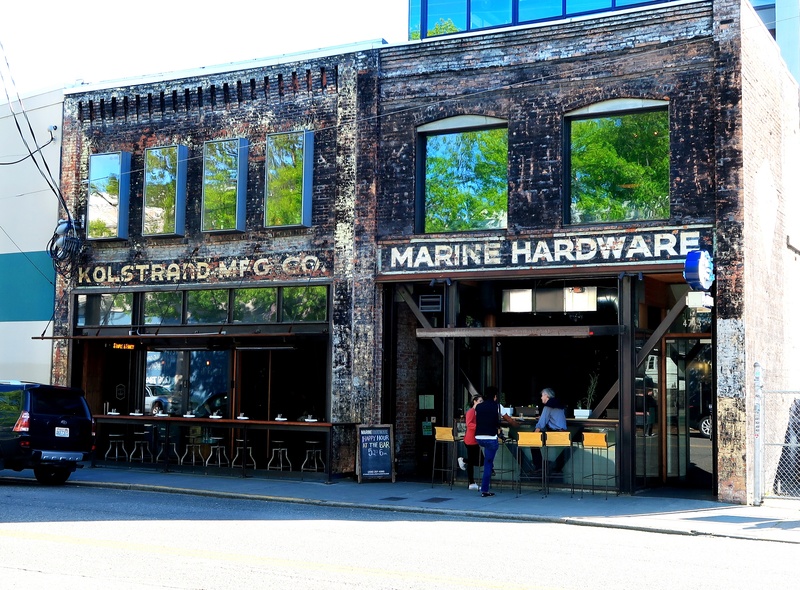 This place showcases Seattle best seafood so beautifully. The vibe is fun…and the oysters are on point. It’s a tapas/small plate kind of place. And the bread!! Did I mention the bread! Omg! It’s homemade sourdough baguettes with whipped butter!! I mean…cocktails, oysters, and bread…can’t get much better in my opinion!! This spot is right next to Ballard, in the Fremont neighborhood…which is another one of my favorite neighborhoods. Ballard and Fremont have all the good breweries..just sayin!! Cafe Turko’s is the most incredible Mediterranean/Lebanese food I’ve ever had!! It’s family run, and literally mama and grandma are in the back whipping up their secret family recipes from scratch all day!! 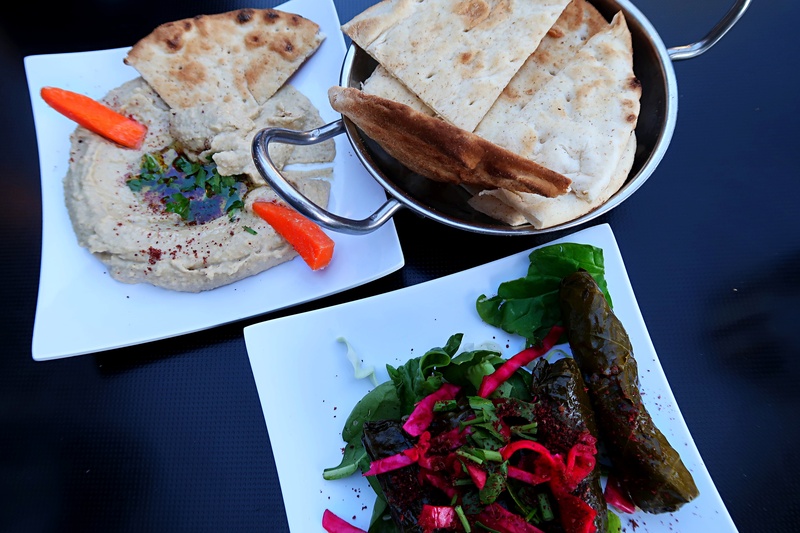 The hummus, and the Dolmas (stuffed grape leaves)..are some of the best i’ve ever had!! 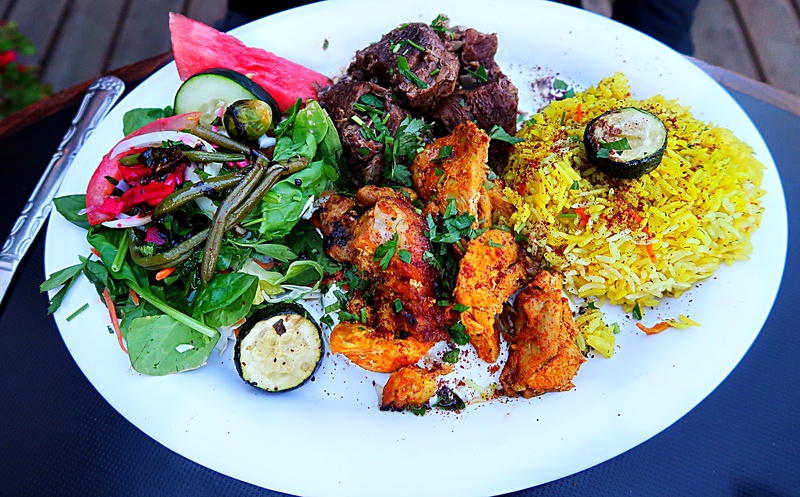 Erran loves the Ali Nasik Mania, which is a chicken and lamb dish..with homemade garlic and tahini sauce. The chicken in this place is so tender, juicy and has the yummiest flavor!! 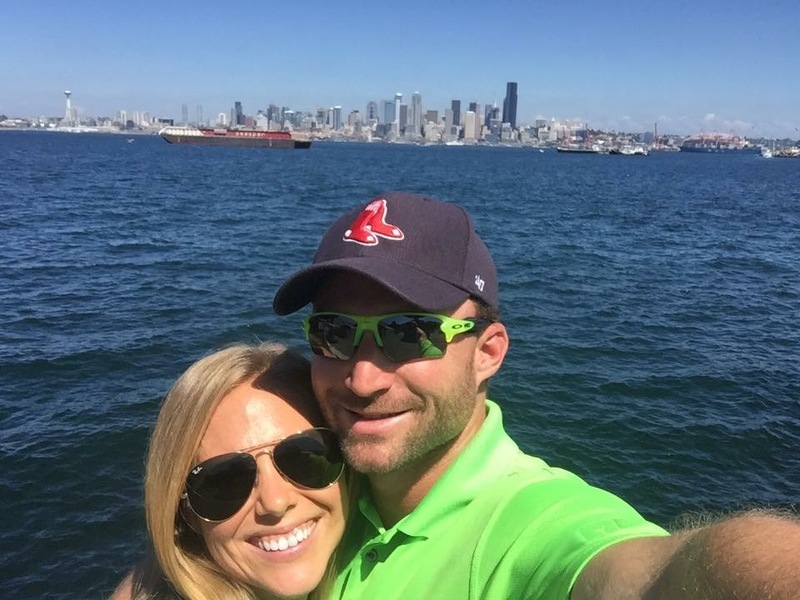 The view is cool too…it’s on lake union…with an awesome view of Mt. Rainer and the city!! We loved this place so much, we literally ate here at least once a week! This is s another one of our favorite Mediterranean spots. 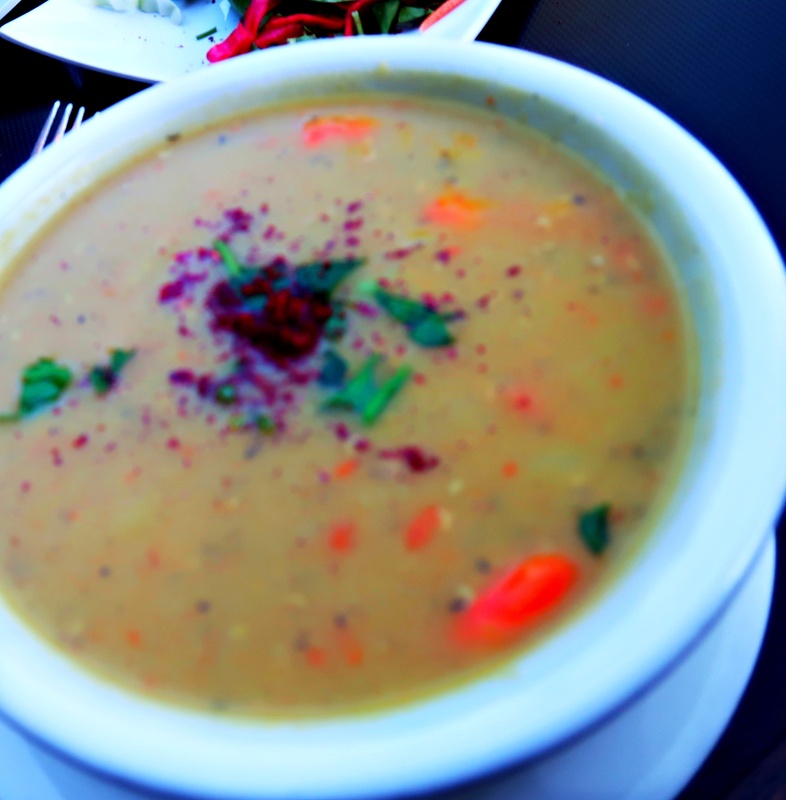 They have incredible hummus and the yummiest red lentil soup!! 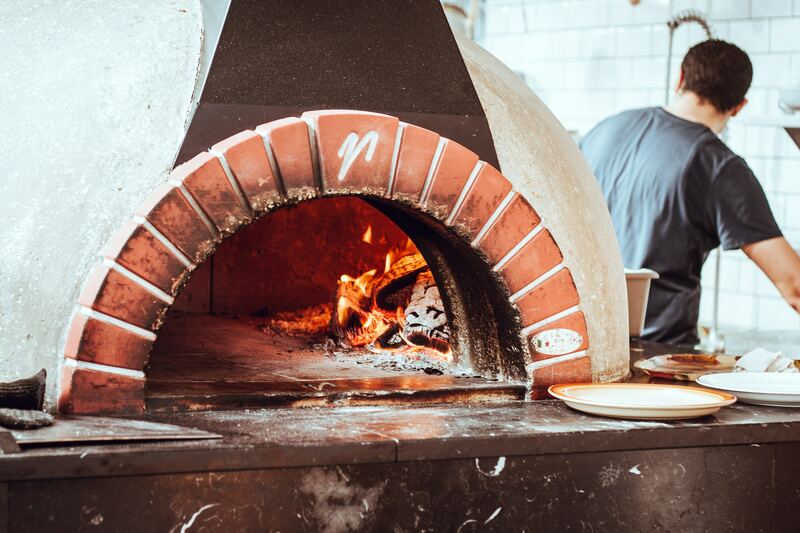 If you like good quality Mediterranean…this is where it’s at!! 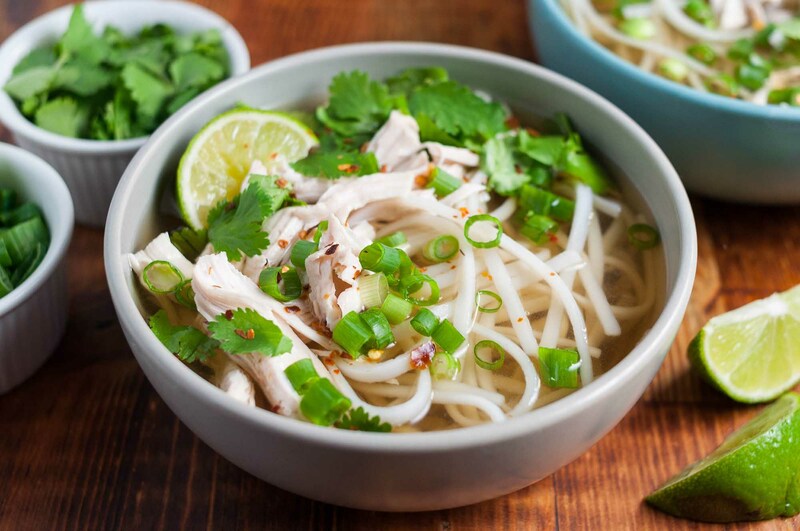 Seattle is known to have some of the best Pho in the country…and I totally agree!! There are so many incredible Pho places…but this one was our go to!! We are pizza connoisseur and we know a good pie when we taste one. You can trust us..we would never steer ya wrong. We’ve make it our mission, to find the best pies in every city we live in, and we always do. The west coast isn’t really known for their awesome pizza..but The Ballard Pizza company does it right!! 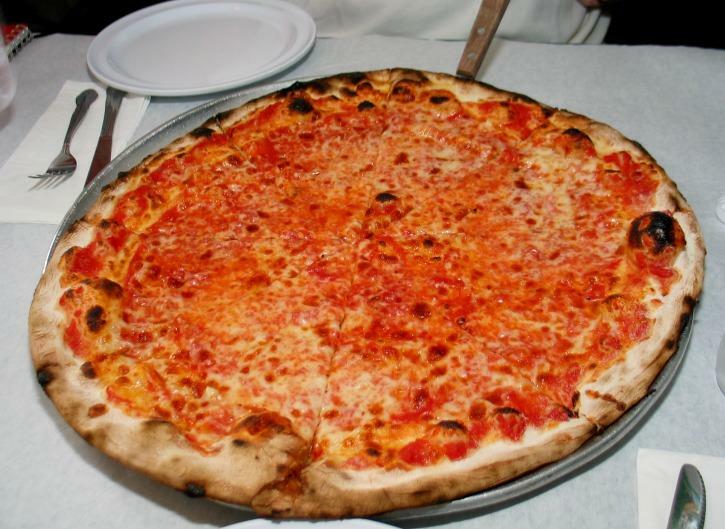 It’s amazing..Ny style-ish ..MMMM my mouth is watering just thinking about it! What the west coast lacks in pizza it makes up for in sushi! 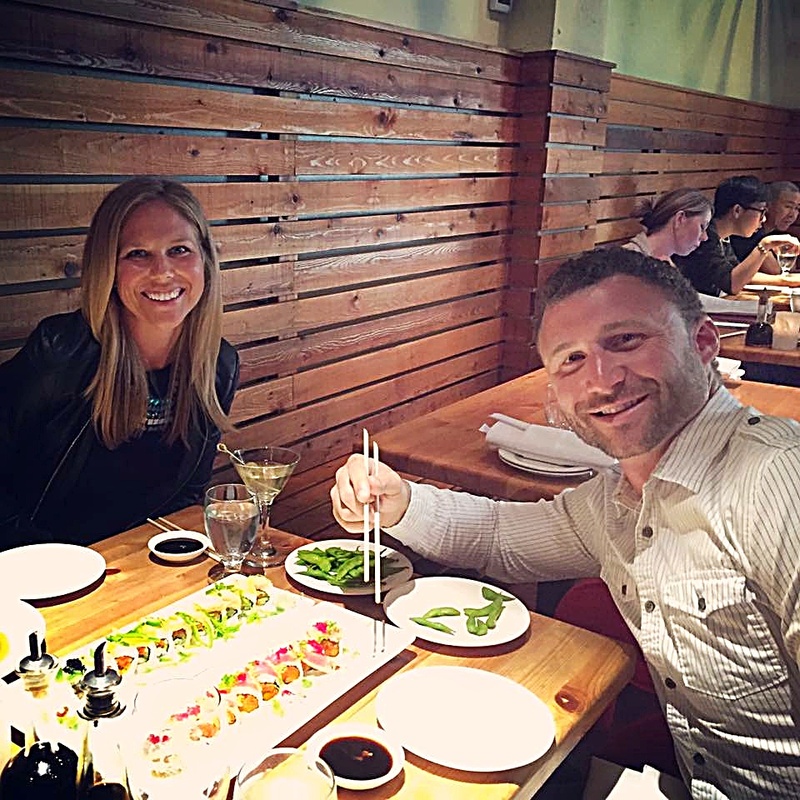 Seattle has some incredible sushi spots! This is one of our favorite spots..the sushi is incredible..and the vibe is really fun. This is definitely a place to put on a little red lipstick, have a few cocktails, or some sake…and start the night off right! They are known for their spicy rolls…they have all different kinds of delicious rolls that deliver a serious kick!! 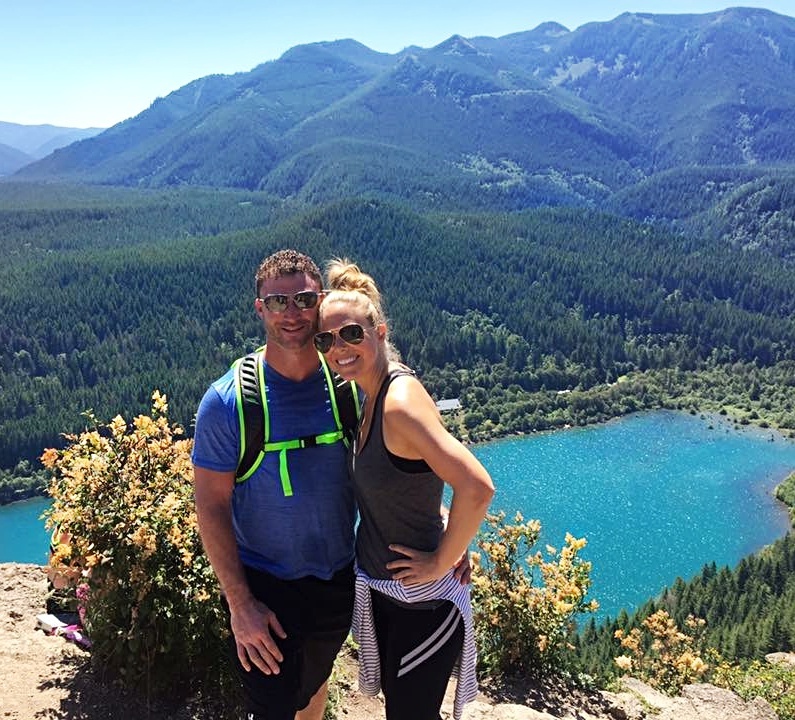 This spot is a little nicer…but your in Seattle so of course you can stay in your yoga pants.. We would eat here after work a lot in our hospital scrubs!! It’s also a great place to come if you want to dress up a little bit to. You really can’t go wrong. 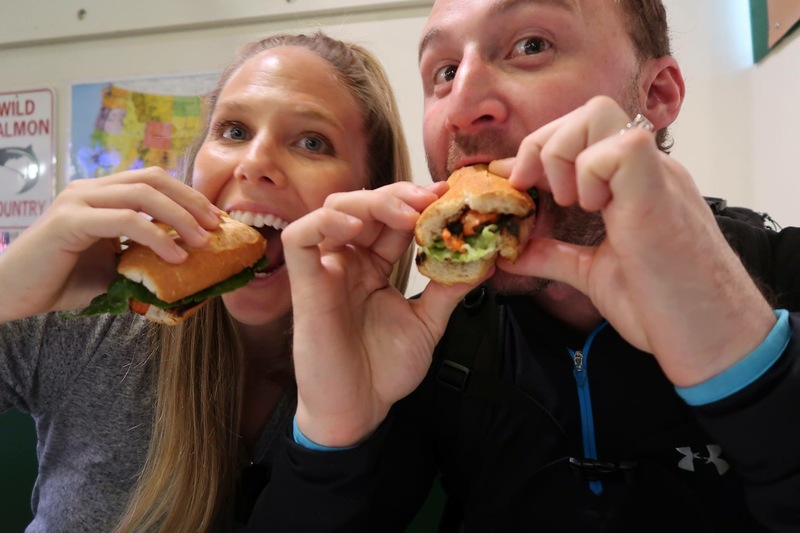 We love love love sandwiches..If you’ve ever been to a Publix in the south…OMG..those sandwiches are hard to beat..and we were super spoiled growing up on those delicious little sammies!! Since we don’t have a Publix most places we go…we are always on the hunt for the best sammie in town!! ..and of course they have to be made with love!! This is the tiniest little gas station-ish store on Madison Street. It’s run by two polish women and one of their husbands…. George. There is always a line…so prepare to wait! These women run the show and they are all business. It’s best to know what you want to order before it’s your turn. They’re kind of like the soup nazi’s but with sandwiches. LOL!! They don’t mess around! But they can be…. because their sandwiches are that freakin good!! The bread, the veggies, the meats…everything is the highest quality, and it’s just amazing! I can’t say anymore..you just gotta try it for yourself. There is no where to sit, so you have to take it to go. There is a nice church a few blocks away. We used to sit outside on the steps and munch!! This is a very small market in the lower queen Anne neighborhood hood that will knock your socks off! The service is slow, because there is usually just one person making sandwiches, and there is usually a line at lunch time. But Stella’s sandwiches are incredible. We could walk here from our apartment, and we would eat these little devils at least once a week!! This was the very first place we had a date nigh when we first moved to the city. This is a spot you come to share small plates! The grilled octopus was incredible, the bread was out of this world..can you tell I’m a total bread fanatic!! The sangria was homemade and so good! This is a great spot for a fun night of dinner and drinks of the town! I had to throw this one in there as a bonus! 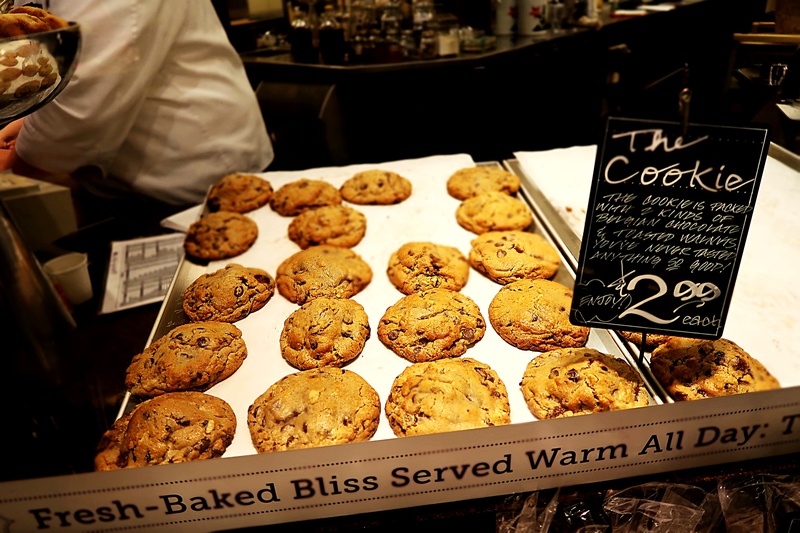 If your in Seattle….you must go to the Metro Market and devour the..warmest…gooiest..most delicious things in the world…Known to Seattleites as… THE COOKIE!! It’s really special..and worth every bite!! Something to quench your thirst! 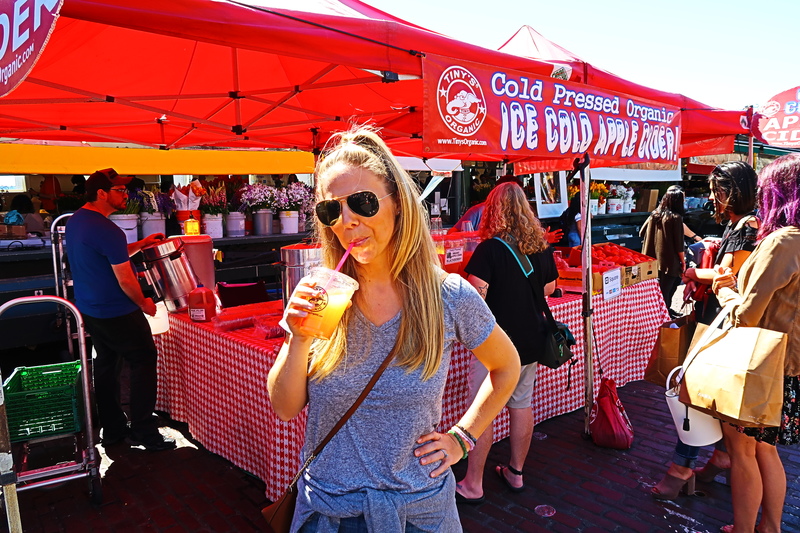 Our favorite spot to get a Ginger Beer..It’s a little touristy..it’s near Pike’s Place but their Ginger Beer is Incredible…it deserves to be on this list!! Most people want to go check out the first ever Starbucks, which is such a bust in my opinion. You literally wait in line for hours, for the same dumpy coffee you can get around the block. Snap a selfie by the sign, and get the F outta there! Sorry Starbucks!!! 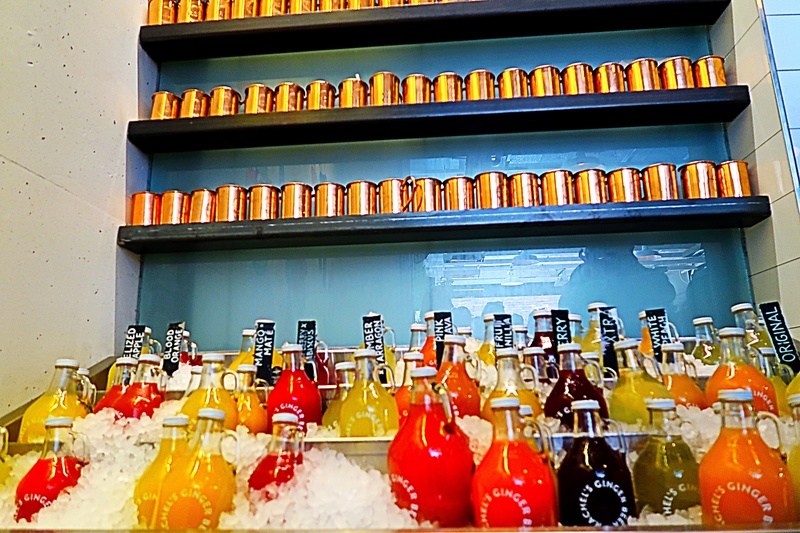 Rachel’s is known for their homemade ginger beer, and let me tell you, it’s something special!! They have tons of flavors on tap, and they always have a special seasonal flavor. You can either drink it straight up, or if your feeling a little frisky you can mix it with different liquor concoctions, and whip up your favorite cocktail. The mules are freakin…AH-mazing!! 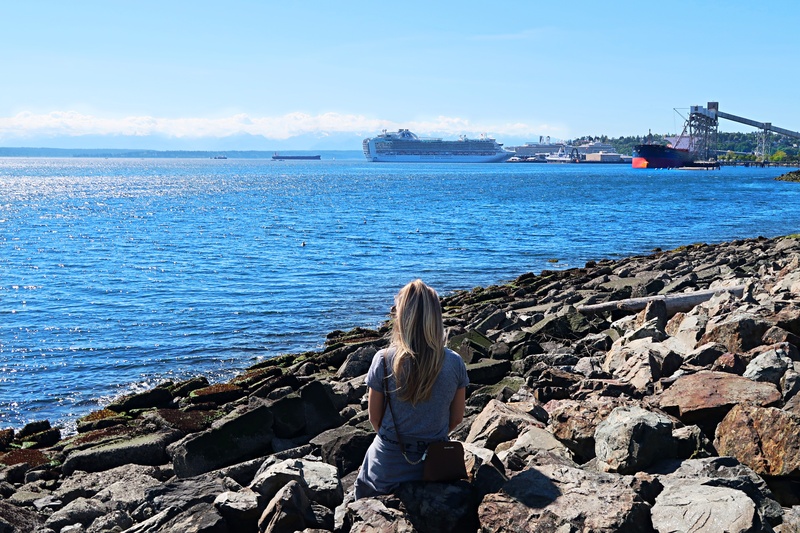 There are so many incredible places to check out in Seattle! 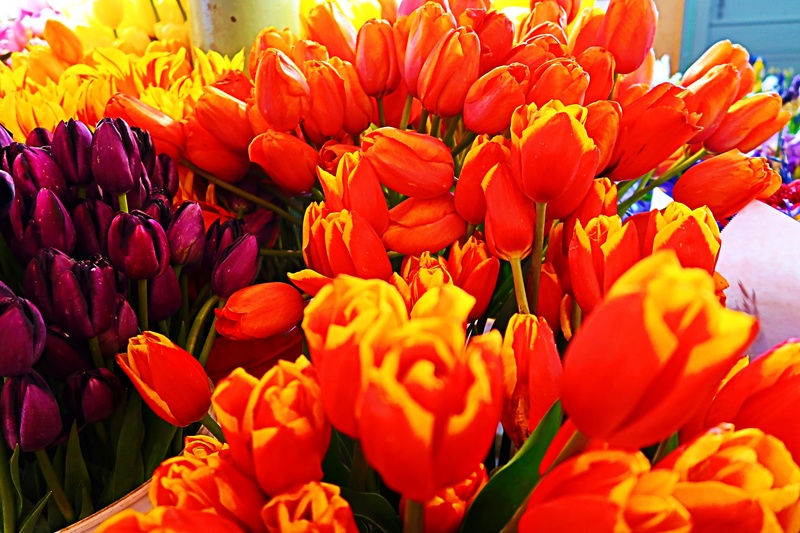 I hope this gives you a great place to start.